Why treating Lyme disease is so difficult. The popular view of bacteria is that they arefree-living organisms easily kept in check by antibiotics, Berk said. 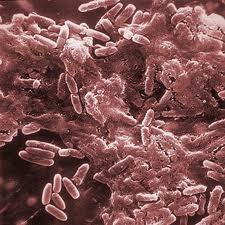 But scientists now realize that bacteria spend most of their lives in colonies or biofilms, even in the human body. While single bacteria may be susceptible to antibiotics, the films can be 1,000 times more resistant and most can only be removed surgically. This entry was posted in Lyme Disease and tagged antibiotics, bacteria, biofilms, Lyme. Bookmark the permalink.